If I had a backyard, I'm pretty sure I would buy this right now. Actually, I can hardly resist despite the fact that I don't have a backyard. Can't you just imagine the summer parties and lazy, lemonade-sipping lounging this pavilion would inspire? 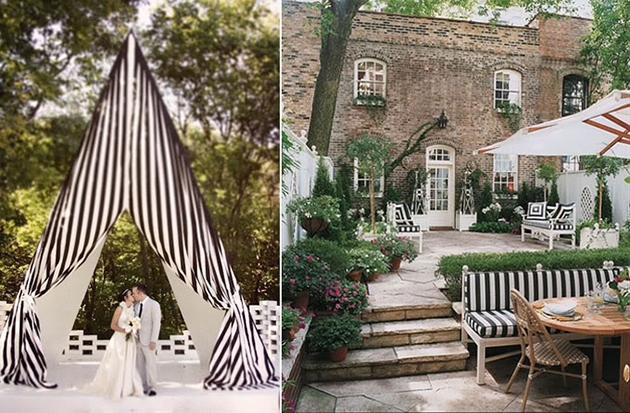 Here's some more inspiration for my future cabana-striped, breezy backyard!